You can tell a smart spa user by how much she or he knows about hot tubs. 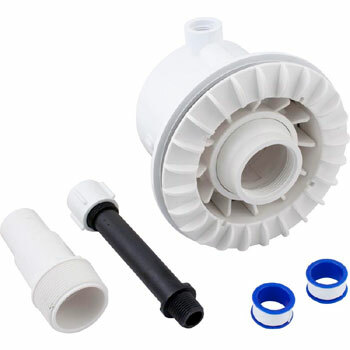 That person has not only mastered the most economical ways of enjoying spas but he or she also has learned a thing or two about proper maintenance and spa parts. Like annual physical exams with the doctors, a responsible owner will run regular spa check-ups to ensure that a hot tub is running smoothly and problem free. When replacing Leisure Bay Spa Parts, she or he will only buy genuine parts and that person also understands that spending on quality products can potentially help increase lifespan and improve performance. Leisure Bay has recently developed a new control system called “Flexit Digital System” to help repair and replace parts of old spas. Its design makes it compatible with ten year old Leisure Bay Spa Parts. It will also work well with models equipped with 24-hour circulation pumps and small hot tubs. Any Leisure Bay Hot Tub is composed of several parts with each one playing an important role in making spas produce clean, hot water that is perfect for soaking and bath. Some of the parts that we know of are Leisure Bay Spa Jets, their motors, control buttons, electrical and plumbing components, but we shall discuss only some of the main parts namely the control or also called the ‘spa park’, heater, pump and filter. The control or spa park is the thing that allows you to control or manipulate hot tub mechanisms. It may either function as an ‘air control’ or a ‘digital control’. This part of your hot tub may need replacing overtime, so it is important that you know their differences and how they fit into your tub. Simply look for the control buttons that are situated right on the panel. You can easily tell air controlled buttons from digital ones through the air hoses that are linked to them. Digital controls are usually characterized by a display of numbers or other characters which will also tell you that it your machine is run by a microcomputer. Another way is by locating the heater. Hot tubs that utilize digital spa park usually have their heaters placed directly on its base. The list of Leisure Bay Spa Parts will not be complete without a heater. Considering that there are various kinds of spa heaters being made and sold, it is only important that you correctly identify the one installed in your tub. Although, universal heaters are already available to fit a variety of Leisure Bay Spas especially when access to your hot tub’s heater is close to impossible, it is still suggested that you do one of these things: 1. Take note of the heater type and its dimensions after purchasing a new spa; 2. Research online for heater information and measurements if you are looking for replacement. Make sure to also get the original and only buy from a trusted spa parts depot. Another one of the common Leisure Bay Spa Parts are pumps. Spas will not function without these things that drive water through the jets and into the tub. Because they do the hard job of pushing hot water which also tends to carry with it harmful debris and chemicals, it is but common for pumps to wear out. Replacement pumps are available but then again, you have to select the one that matches the motor and hot tub. If you do not know the kind to purchase, you can always get helpful information online. A more reliable way would be to remove the one attached to your old tub so you can get the exact replacement. Switching to new pumps can also cost a lot of money, but it offers a more cost effective solution over repairs. 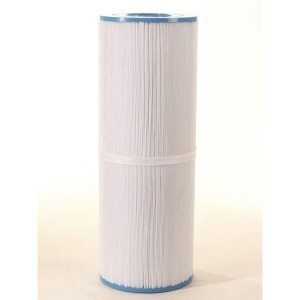 Changing filters regularly is one of the many ways on how you can keep your hot tub running like a well-oiled machine. Filters play the important role of making sure that you are soaking in clean hot water. Worn out and old filters will not only cause dirty, un-purified water but it could potentially clog the pump which then could cause the motor to break and affect the overall performance of your spa. Filters are probably one of the cheapest and easiest Leisure Bay Spa Parts to handle so make it a habit to check if they are already due for replacement. Read the Leisure Bay Spa manual for instructions on how you can easily switch filters. You can find Leisure Bay Spa parts at specialty stores that carry home spas and spa accessories. Replacement parts can also be found in local dealers and online retailers that sell products such as portable hot tub models, coleman spa parts and other hot tub brands. Remember to always buy genuine parts from authorized sellers. Think twice about buying generic parts if you are not a hundred percent sure if they will work with an old model. When unsure of which parts to get or if you are not comfortable repairing your broken spa, contact a professional for assistance. Getting your spa serviced by an expert can be expensive but you can spare your tub and yourself a lot of trouble when you do not really know anything about spas. This entry was posted in hot tub parts, leisure bay spas, Portable hot tub and tagged hot tub parts, leisure bay spas, luxury spas. Bookmark the permalink.